(1) Roll under your Luck score. I usually say "equal to or under". This type of check can be modified by changing the die used along the dice chain - the larger the die, the less likely the roll is to succeed. The smaller the die, the more likely. (2) Try to meet a target DC. In this case, the check can be modified by the die changing along the dice chain (with larger dice being better). The DC can also be shifted. Why bother with two methods? Using method (1), a PC with an 18 Luck succeeds 90% of the time. Using method (2), and a DC of 10, the same PC succeeds by rolling a 7 or better, or 70% of the time. Setting the DC to 15 reduces this to success on a 12 or better, or 45% of the time. For method (1), the character's actual Luck score matters, so as Luck is used, the odds of success go down immediately. For method (2), only the attribute modifier matters, so while Luck use does affect chance of success, it does so in a more graduated manner. Each of these has its uses. Wait, why don't we use both methods with, say, Strength checks? Good question. Why don't you? You’ve decided to run a new game. What’s the first thing you do? Get everyone together, talk about what the game is going to be about, and make sure everyone designs their characters to fit not only the theme and the setting, but into a cohesive whole with each other? Maybe you design the campaign milieu by committee? In Ye Olde Days, the GM would create a campaign setting, and then put up his shingle. If there was anything unusual about making characters for that setting, you would know upfront. A notice would usually contain the system being used, and any restriction, such as “AD&D: No elves.” And that would be enough. 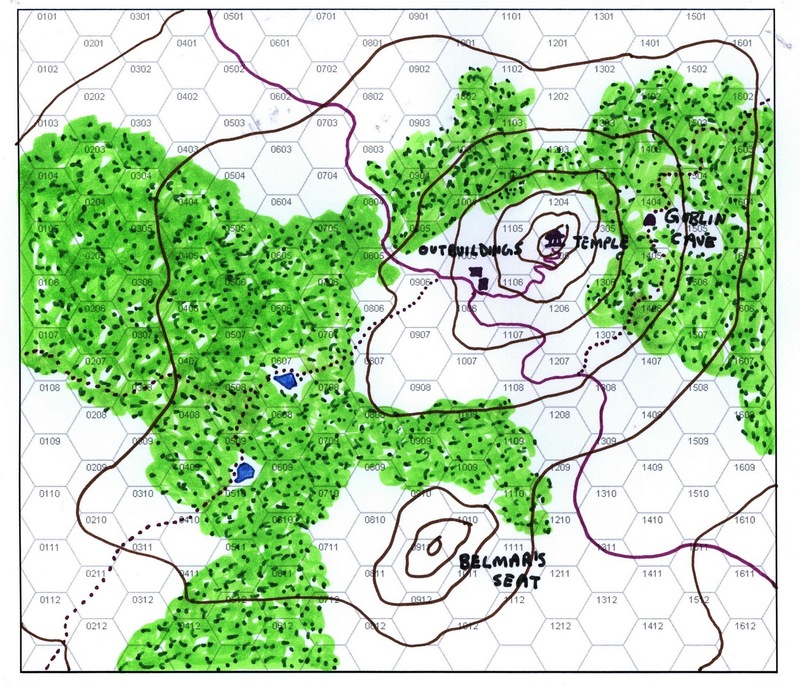 In those days, what usually happened was that the GM (most often a DM) created a setting, populated it, and left it open for players to explore. In this way, players created the stories of their characters, and it really was the PCs’ stories, not the DM’s story. Moreover, you didn’t need to know what the world would be like in order to create characters – rangers, for instance, gained bonuses against all “giant class creatures”. They didn’t have to choose a favored enemy. In some modern systems, the players need to know things about the world even to create characters; in Ye Olden Days, learning about the world was part of actual play. Now, you may be a fan of Session 0. You may enjoy creating the world together. You may enjoy deciding what story you are going to tell before you experience it through play. If you do enjoy these things, then, by all means, continue to do them. No one’s advice should trump your enjoyment of the game. Not even mine. Maybe especially not mine. There are some things you should keep in mind, though. (1) Every detail you add to the world in Session 0 is a detail that can no longer be discovered through play. If you’ve decided that the world is the giant corpse of a god floating in space, that is now something you already know going into play. Your characters may discover it, and you may pretend to be surprised, but you already know it. You are fooling no one. If you are, as I am, an aficionado of Goodman Games’ Dungeon Crawl Classics, you will note how the DCC core rules emphasize that the unknown in the world is what grants it mystery, and thereby makes it compelling. Telling the players details ahead of time, or forcing them to make them up, can certainly be problematic in this regard. (2) You are, perforce, creating more work for the GM. Each detail added is a detail that the GM must take into account, and then fit into a cohesive whole. There is simply no way that the GM is going to be an expert in everything the group comes up with. There is likewise no way that the group is going to provide all the details the GM needs. Yes, this will absolutely stretch the GM in new directions….just keep in mind that those new directions all require work to bring to fruition. (3) And the game milieu will be weaker as a result. Let’s say that you play once a month. In Ye Olden Days, while Sarah was running her campaign, I could be devising mine. Having regular contact with the gaming group, I might know that B.A. is into Egyptian mythology, and do enough research to include it in the milieu. I might take six months, a year, or longer whipping things into shape before presenting a ready-to-play game to my friends. Let’s say that I do the same, but cram it into two months, just to make sure that what I am trying to say here is clear. Now, instead, I have Session 0 in August, and I have to be ready to run in September. Because I don’t know what the group input will be, my planning to this point is going to be pretty sparse. There is simply no way to develop, in one month, what I could have done in two. Not only has the players’ ability to explore been damaged by having discussed the parameters of the world beforehand, but the world that they have available to them is by necessity smaller, less textured, or both. (4) You don't need buy-in to the story if you don't try to force the PCs to do what you want. The setting belongs to the GM. The story belongs to the players. If the story that the players want to tell is how they destroyed the GM's setting, so be it. The setting really only belongs to the GM where the players haven't encountered it. Thereafter, it belongs to events at the table. Nothing is sacrosanct. There is nothing the GM must preserve at the expense of the players. If they can find a clever way to bend the world to their will, it must bend. Wait a minute, chum…What if I want to tell a particular story? 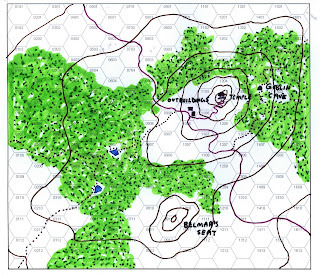 If you are going to run, say, an Adventure Path such as Savage Tide, then Session 0 makes perfect sense. There is no work to do to create the milieu, and you really are trying to get buy-in to a particular game. On the other hand, all Session 0 is doing is providing you a chance to make your sales pitch, and wasting a game day that could have been Session 1 if you had just sent the group an email. So, what do you recommend then? 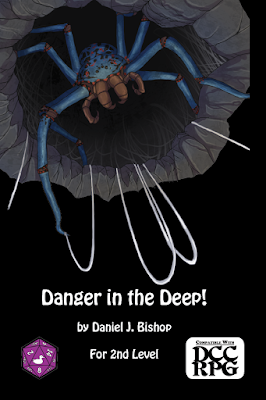 Instead of Session 0, take a page from Dungeon Crawl Classics and run Session 0-Level. If Session 0 really is about creating characters that fit into the world and have a reason to adventure together, then the zero-level funnel accomplishes that handily. It also allows you to actually play when you get together….and it opens up exploration of the world through play. All of the benefits. None of the pitfalls. Kudos Joseph Goodman, you cunning devil! Danger in the Deep! is now available in print and pdf at RPG Now. This is listed as a 2nd level adventure, but I hope you will find at least two or three elements in the work that you can use again and again throughout a campaign. The original working title was Cold Stone and Running Water. When you read it, you will know why.